He was tall, dark, handsome, wore a cowboy hat especially when he dressed up, liked country music and was left handed. 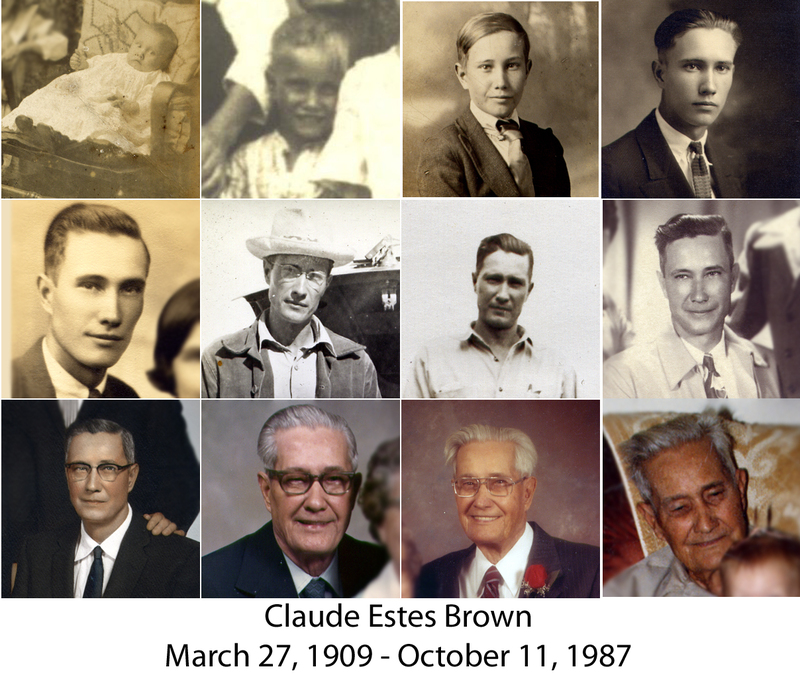 I’m speaking of my grandpa, Claude Brown, an outdoorsman who enjoyed fishing, hunting, camping and gardening. He always had a work area in his shed or garage and it was unlike any I had ever seen. All of his nuts, screws, nails and such were neatly categorized in baby food jars with the lids attached to the under side the shelves, everything had a proper place. His car, lawn, camper, all that he owned was clean and well cared for. Perhaps his attention to detail explains why he liked spending hours and hours on projects such as refinishing furniture and creating jewelry. His jewelry making was a hobby while I was child and may have started when he and my Grandma began collecting rocks while vacationing. With his rock polishing equipment in the garage, he turned rocks into beautiful objects such as the pendant he gave me when I was 7. Then several years later he began creating jewelry such as cuff style bracelets by twisting pieces of silver metal together. 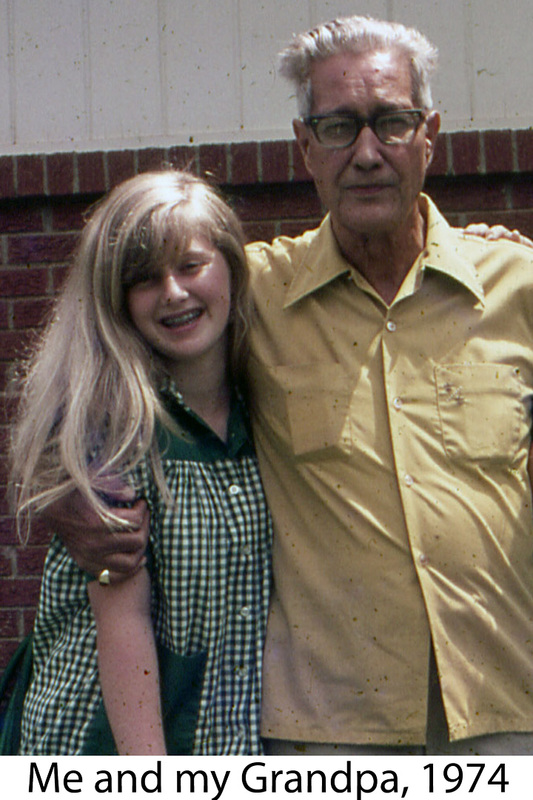 When I was 13 he gave me a piece of his handiwork and I wore it for a good while, which should tell you that I liked it a lot because teenagers are pretty picky. While I no longer have the items, I do have a couple of photos of me wearing them. I never felt like I knew my Grandpa partially because I didn’t live nearby and visited only about once a year. We always greeted one another with a big hug, and his were really tight left hand hugs, almost to the point of hurting. By the time I was in junior high he had lost some of his hearing and I guess he couldn’t hear me very well because I found myself repeating things or giving up on conversations. Grandpa seemed to enjoy or need routine. Each day that I stayed with my grandparents seemed to have the same activities at the same basic time each day. So, for example he watched the news in the afternoon, evening and just before bedtime. When he watched the news, especially the national news, he seemed to get irritated often and would curse, which made me feel uncomfortable. I also remember watching Gunsmoke with him and when he would laugh I would join him automatically since laughter is contagious. Laughter wasn’t something I heard from Grandpa often, I saw him as a serious man who believed strongly in fulfilling his responsibilities. I see you like the new website’s Dates and Anniversaries section to remind us of these anniversaries, as do I. I checked this morning and saw his death listed for today; I was surprised to note how many years he’s been gone. I like the pictures you’ve been doing of lives over time. It’s particularly because some of those early pictures may have never been seen by most of us and it helps to put a life into perspective. It was good to see the picture of you enjoying a moment with him. I’m glad to know you visited.